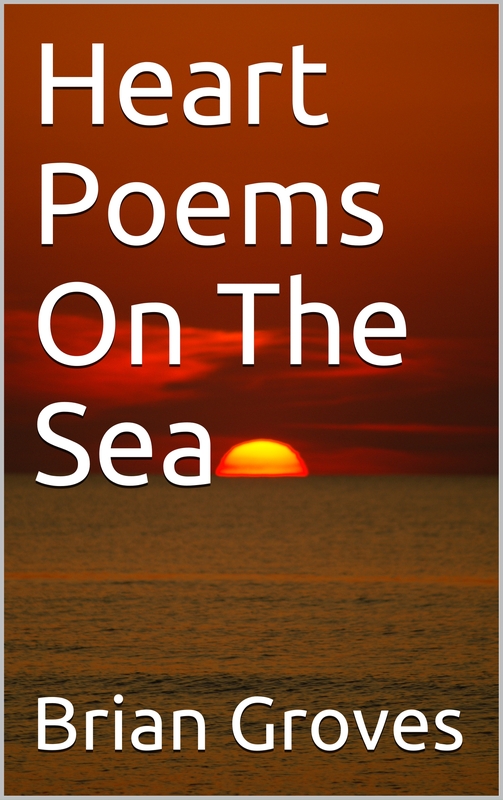 Following the publication of Heart Poems On Waves , it felt only right to continue along similar lines with this new offering. “Unless we are fully committed to our dreams, we will never bring them into being.” Brian Groves. Curiosity may have played a large role in bringing you here. 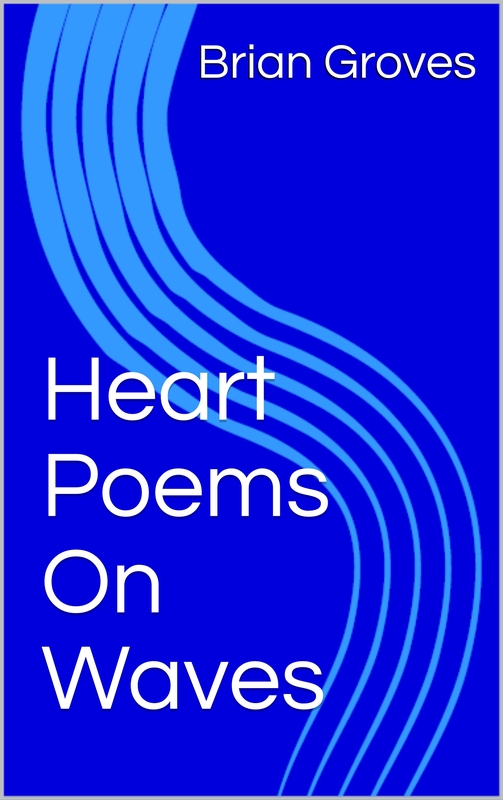 This latest volume of ‘heart poems captured from dreams’ is another step along the heart poetry path, initiated by Heart Poems Captured From Dreams and consolidated with More Heart Poems Captured From Dreams plus Heart Poems On Waves. Ideas have the ability to reach us by many means. Capturing poems from dreams, whether whole lines or mere fragments, is one such avenue available to them. 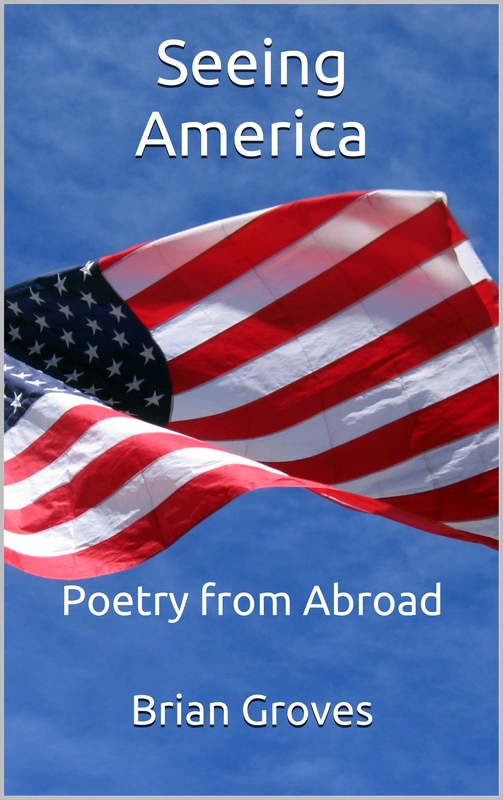 Rather than attempting to preen and pamper the words here, this book sets them out as they arrived, an eclectic mix of ideas and themes, some but not all loosely related to living our potential. Accordingly, this book is aimed at offering a form of nourishment in those moments of pauses, before you begin anew creating the life of your dreams. Following the publication of Heart Poems Captured From Dreams, it felt right to continue along the poetry path. 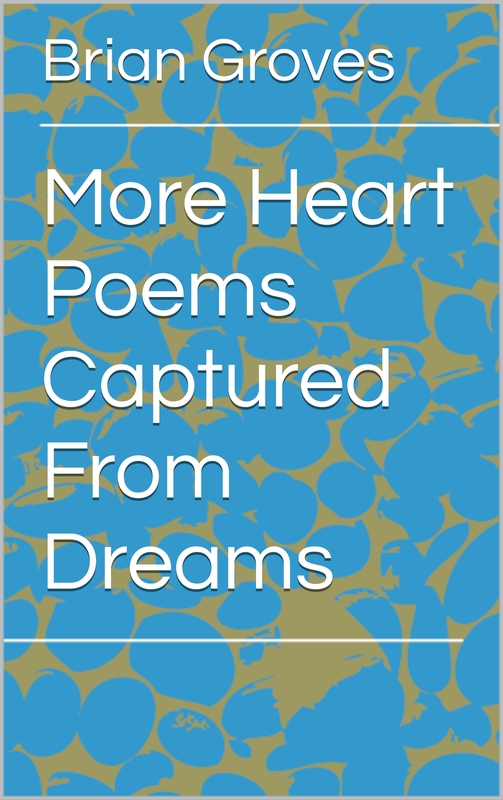 As an expression of ideas, reflections, and general musings, More Heart Poems Captured From Dreams indeed brings more ‘heart poems captured from dreams’ into being. With the compendium of ideas arranged, the themes of development, potential and joy become clear. Along with our capacity to think we also have an ability to dream. Whether we follow our dreams with action remains, quite rightly, up to us to decide. 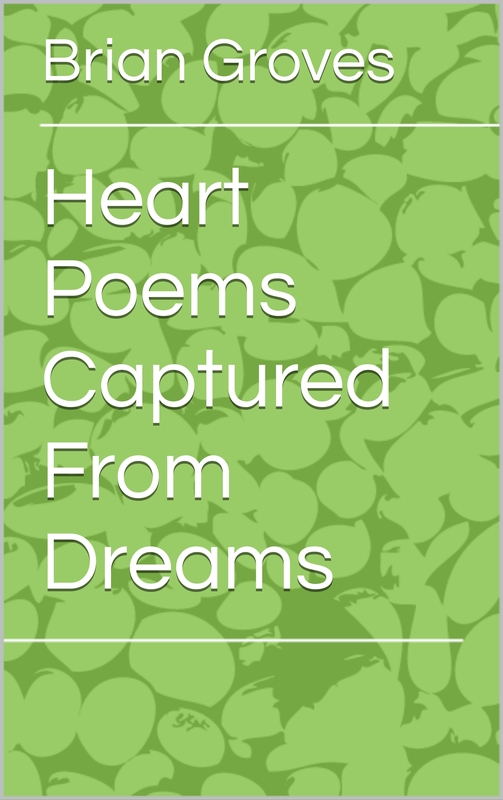 I produced Heart Poems Captured From Dreams because I wanted to offer some heartfelt words as an encouragement throughout the daily adventure called Life. 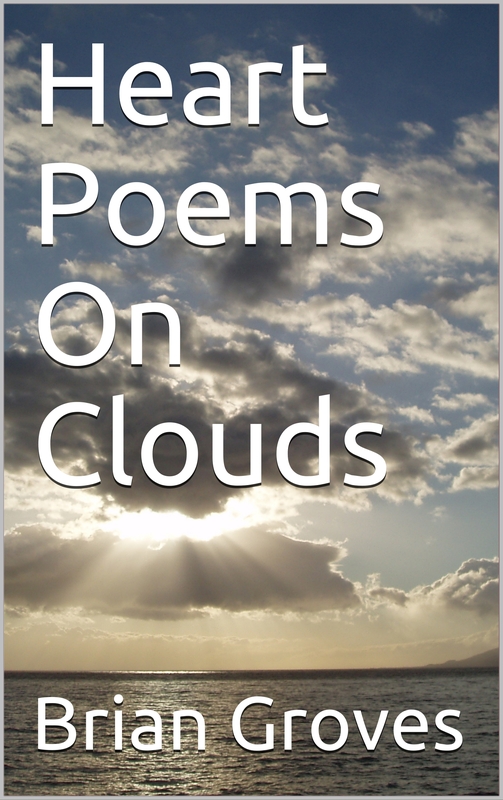 Combining with your existing knowledge and resources, Heart Poems Captured From Dreams might make the difference between ‘just going through the motions’ and ‘letting your light shine’. The ability to live life to the full exists in us all. But being human we forget this from time to time. Accordingly, Heart Poems Captured From Dreams is aimed at helping you remember this as you go about being you. 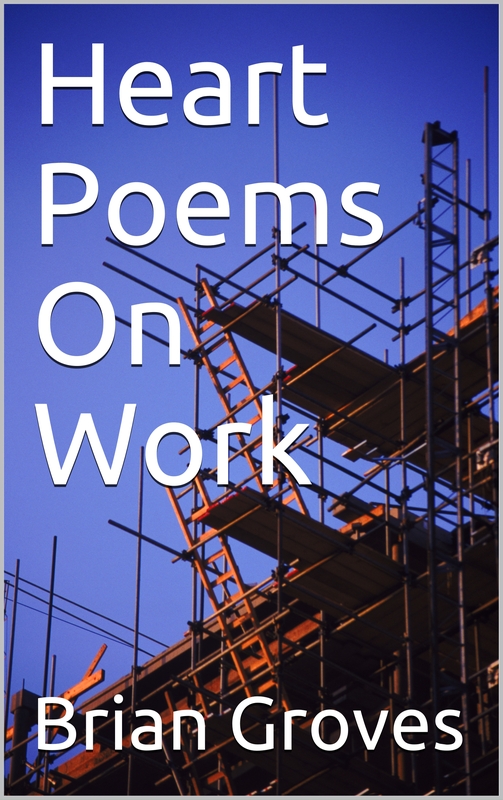 A collection of poems from a person who is not a poet may appear a strange offering. Words, in any case, have an impact and it is hoped this small volume of ‘heart poems captured from dreams’ gives you something positive. The words set out in Heart Poems Captured From Dreams were indeed captured from dreams. In certain instances, the lines arrived complete. On other occasions, nagging fragments forced me to sit and finish the thought. Once the ideas were drafted, giving them an outlet seemed only right. 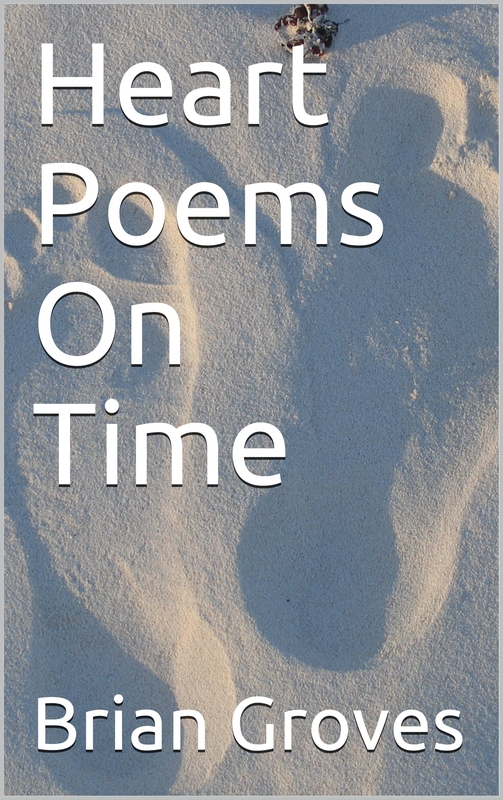 Despite having written and published eight other books – admittedly all focused on my principal area of work involving coaching, training, and development – the decision to release this first collection of poems was not easy. 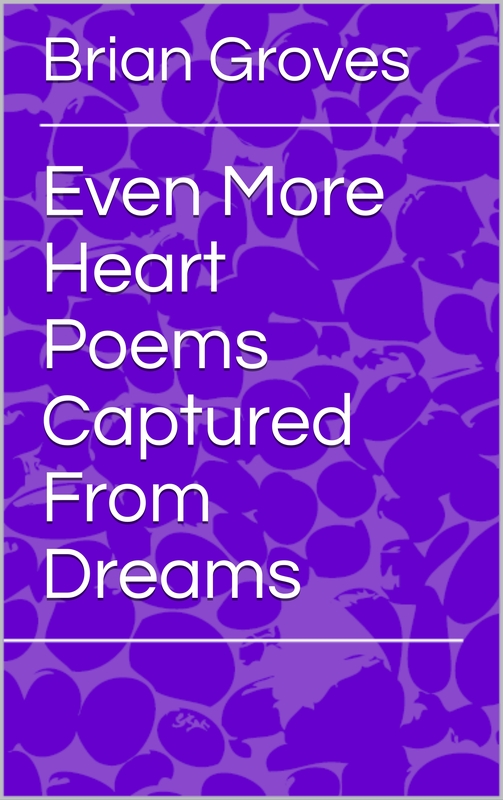 Notwithstanding doubts, Heart Poems Captured From Dreams is available. You are perfect as you are. However, over the course of a typical workday, it is easy to forget this under the stress of meeting the needs of clients, colleagues and other stakeholders. Rather than attempting to fix you, this book was written with the aim of sharing everyday coaching tips to help you as you go about giving your best, regardless of what the task involves or where it occurs. Divided into bite-sized chunks, the book brings together ideas associated with the stage for the sake of ensuring your potential is the star of the show on a daily basis. As with any assignment, the delivery of your potential represents more than what is experienced by the audience or beneficiary of your work. What is visible once the proverbial curtain has been raised is the fruit of much effort, consisting of initial assessments, detailed preparation, and precise practice, geared to offering your best possible performance. And then being able to repeat this as necessary. From the preparatory phase of any project to the feedback and learning opportunities deriving from post-performance reflection, the giving of your best is achieved not by luck, but through a systematic use of tried, tested and learnable skills. Input concerning preparation for the delivering of your potential is then dealt with, leading to the moment of execution. 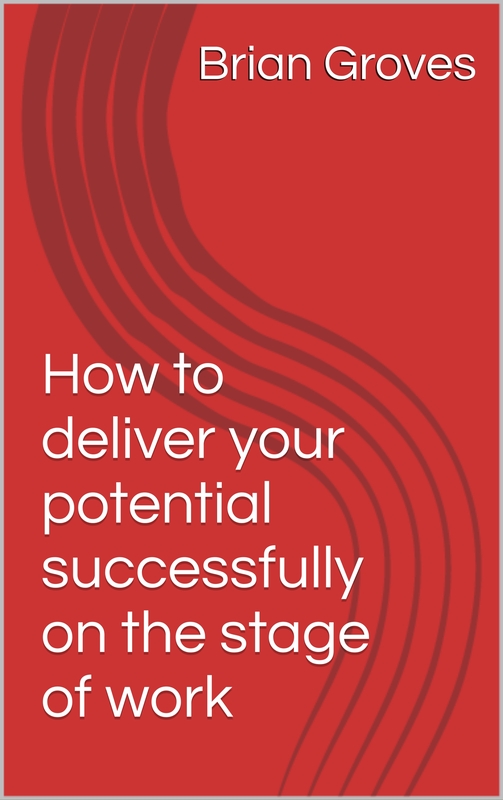 To complete the book, key points regarding the learning available post-performance in the form of feedback – uplifting when full of praise and useful if critical – are set out in the concluding chapter. Throughout the book, questions are asked. Accordingly, it is advisable to read this self-help book with a notebook and pen or pencil to hand to capture reflections, thoughts, and answers. Similar to any form of professional and personal development material, this book’s value is found in its adaptation and application to your specific needs on your stage of work. Detailing particular characteristics of work-related performance, this latest book begins by looking at the universality of work in addition to differing outlooks on aspects related to it. The importance of preparation is then highlighted with reference to the rehearsal phase. The actual execution of our activities, plus the audience’s reaction to it, form the heart of the ensuing chapters. To explore the stage of work from the position of the performer, four interviews are included here. The interviewees provide insight into modern working practices and interesting personal perspectives. The book concludes with a vision of how the workplace might evolve, impacting on the future stage of work. Any, or better every, workplace performance requires the use of a combination of skills for a successful realization. The impact of their application on the bottom line of any business is noticeable regardless of how we refer to them. Performance skills at work could just as easily have been titled People skills at work or Soft skills at work. With an emphasis on potential, performance and working practices, some ideas were originally produced as material for Brian’s personal blog (https://bgdtcoaching.wordpress.com/) during the period July 2014-June 2015. 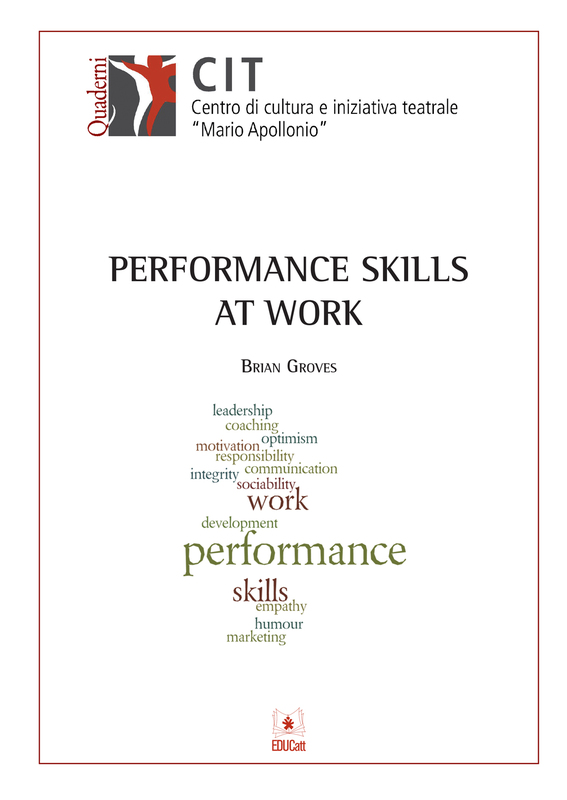 The skills examined in this book in English consist of two broad categories: personal competences (a sense of humour, integrity, motivation, optimism and responsibility) and interpersonal abilities (communication, empathy, leadership and sociability). Exercises for the reader are included to further explore the skills within one’s own workplace. Additionally, the book has a chapter on the issue of values, offering a perspective of work aligned to a collaborative approach for the sake of reaching individual and organizational goals. A case study highlights the use of the performance skills by exploring the work dynamics in Downton Abbey, the highly acclaimed television period drama. In conclusion further elements, often present whilst going about our work, are examined: time management, perseverance and success. 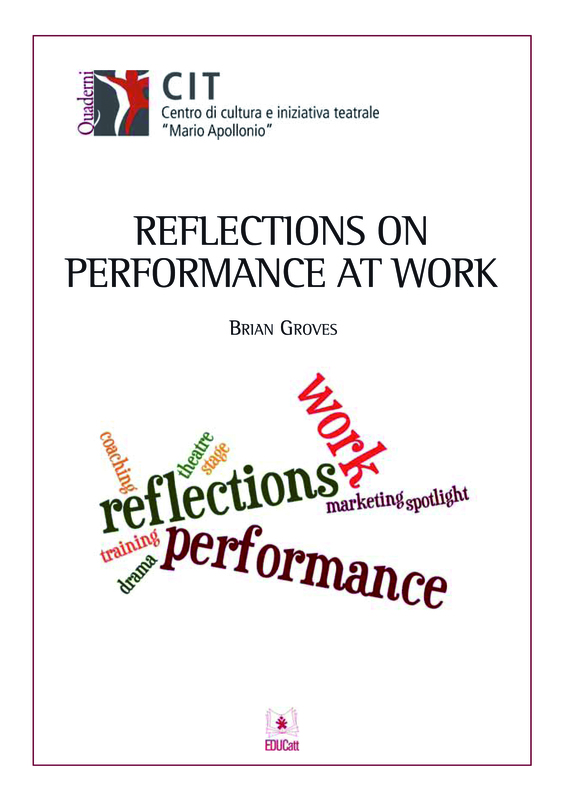 Throughout my previous books – Coaching, performing and thinking at work (Milan: EDUCatt, 2013), Reflections on performance at work (Milan: EDUCatt, 2012), Elements of theatre at work (Milan: EDUCatt, 2010) and Training through drama for work (Milan: EDUCatt, 2009) – I approached workplace performance from the perspective of the theatre, attempting to illustrate the connection between work and the world of drama and dramatic texts. Here now the emphasis is on one’s personal performance potential, for the sake of satisfying an audience comprised of our stakeholders at work. Being clear about our part, learning what needs to be learnt, practising it, and ultimately undertaking the part, are all examined initially to provide a framework for the subsequent chapters of the book. Regardless of the formal title attached to our work, the concept of each of us being the leading man or woman in the production called ‘Our Life’ is investigated here. In support of this, a case study is included to highlight a moment of personal performance potential at work. 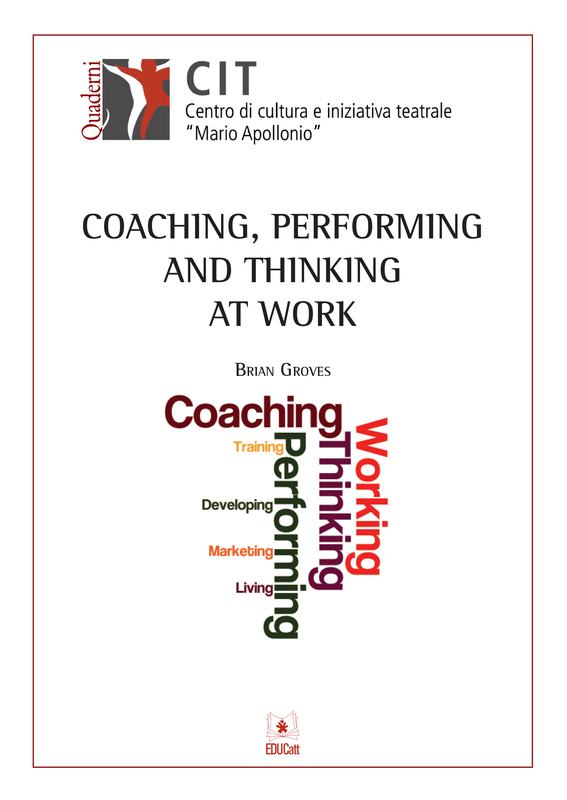 Through a series of reflections, this book in English explores various aspects of development, placing specific attention on coaching, performing and thinking at work. Coaching in the modern business environment is expanding as the so-called coaching culture replaces the command and control culture of the past. This change in approach is witnessed by the number of companies and institutions implementing coaching programmes for their stakeholders to help them fulfil their potential. With reference to the idea of performing at work, focus is placed on a basic fact: in order to perform at our best we need to be our best. Barriers between us and our best performance are explored, together with other elements influencing our effectiveness. Regardless of our role, we are engaged in the work process to add value through our active, thoughtful participation. Thinking at work thus deserves consideration here. A case study, in the form of an interview with a coaching client, is included to highlight the aforementioned topics with emphasis on the potential impact of coaching on one’s professional and personal life. Theatre represents the immediacy of performance. Yet performance is not restricted to the theatre. Whatever we do includes an element of performance. From this perspective, daily each of us is figuratively on stage – in the spotlight – as we perform our tasks, chores, and duties. As one progresses at work, as the stage gets bigger, the need for ongoing learning increases thus underlining the importance of continuing professional and personal development. Taking this notion as the starting point, this work is a collection of reflections on various aspects of performance in the widest possible sense of the word. The work in English also includes a performance case study showcasing the efforts of one man, assisted by a cast of dedicated supporters, to raise money for a charitable organization. The endeavour moves from the rehearsal phase – taking in along the way observations regarding preparation, training, stage props and logistical considerations – to the eventual execution and subsequent performance feedback. Theatre is more than what we see on stage. What is visible once the curtain has been raised is the fruit of much work, consisting of learnt skills, precise activities, detailed preparation and application, all geared to the single objective of producing the best possible performance, time after time after time. 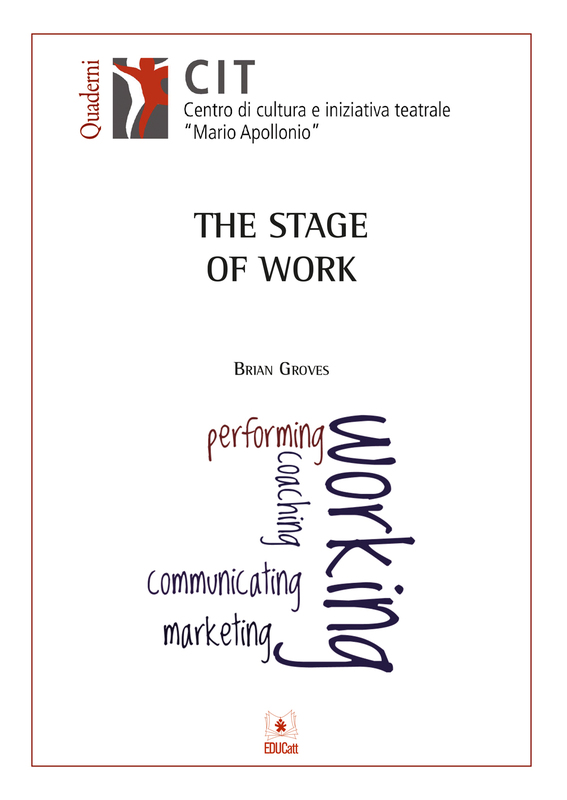 This offering in English examines a number of ideas associated with the stage, used on a daily basis in the workplace. They are referred to here as ‘elements of theatre’. A personal analysis of three dramatic texts related to the world of work – Death of a Salesman by Arthur Miller, Glengarry Glen Ross by David Mamet and The History Boys by Alan Bennett – is provided to illustrate the elements at work. From the preparatory phases of any endeavour, to the feedback and eventual learning opportunities deriving from post-performance reflection, it is shown the giving of one’s best is achieved not by luck or good fortune, but rather through a systematic use of the elements of theatre. The results of a survey, conducted with a small group of professionals operating in different business sectors, are also included within the pages of this work. These provide further input on the communication and performance issues highlighted here. Drawing on a rich pool of ideas, training and coaching concepts, it furnishes an innovative perspective on professional and personal development themes applicable to work where performance – sometimes comic, even tragic – forms the bedrock of most endeavours. As part of the canon of European drama, the selected pieces have already undergone much inspection and yet remain splendid sources of insight and learning. The ideas expressed here represent a personal viewpoint and different interpretations are equally possible. Accordingly, this book should be considered as a ‘step along the way’ rather than a conclusion to the studies of the texts.